BBH is a privately held financial institution that provides asset servicing solutions to asset managers and financial institutions. Our culture of accountability fosters deep and lasting relationships built on commitment, adaptability, and trust. We are independent, selective, and specialized by design. We strengthen our clients’ middle-to-back office models through specialist servicing, data services, and innovative digital oversight tools – helping them overcome industry and process challenges to unlock their full potential. BBH operates its global business out of eighteen offices across Europe, the US and Asia. For more information, please visit www.bbh.com. 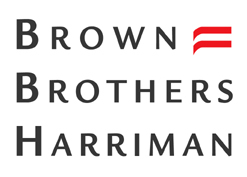 BBH and Infomediary are registered service marks of Brown Brothers Harriman & Co. in the United States and other countries.